Tablet computer rentals are great for all types of events that you might plan to attend, either for business or personal reasons. Tablets let you stay connected to your network while traveling to and attending your event. Our Agents can offer technology rentals at a fraction of the cost that in-house technology rentals offered by convention centers might cost you. We also offer delivery, installation and on-site technicians. iPads and other tablets make great kiosks. Kiosks are great if you need some kind of self-service technology. Tablet computer kiosks are affordable and easy to set up, and they keep your rentals secured. 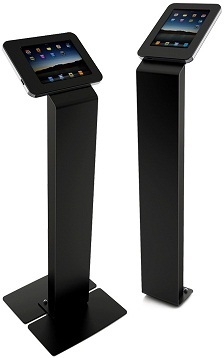 Tablet & iPad rentals for self-service kiosks.